On Oct. 22, Internet-based watchdog organization WikiLeaks posted 391,832 classified U.S. military documents on the war in Iraq, the largest such leak in history. 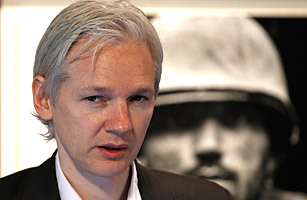 As he did with the July release of 77,000 secret documents related to the war in Afghanistan, WikiLeaks founder Julian Assange shared the documents with several newspapers  including the New York Times, the Guardian and Der Spiegel  in advance of making them public. Among the major revelations were many instances of the U.S. military deliberately ignoring detainee abuse by Iraqi allies and an increase of the civilian-casualty count by 15,000. The July Afghanistan papers consisted primarily of secret reports from troops in the field covering local intelligence and recounting clashes  including a number of missives that detailed civilian casualties at the hands of coalition forces. Another important (though not altogether surprising) revelation was that members of the U.S. military suspect what others have long assumed: that Pakistan's military intelligence agency has secretly assisted the Afghan Taliban insurgency. See TIME's complete coverage of the July Afghanistan leaks. Buy reprints of TIME's political covers.